One of the most significant protest campaigns of the civil rights era, the lunch counter sit-in movement began on February 1, 1960, when four African-American college students sat down at the whites-only lunch counter of the Woolworth store in Greensboro, North Carolina. Refused service, they sat quietly until the store closed. They continued their protest on the following days, each day joined by more students. In just weeks, lunch counter sit-ins were taking place across the South. The sit-in movement energized and transformed the struggle for racial equality, setting in motion a chain of events that would culminate in the Civil Rights Act of 1964, which banned racial discrimination in public accommodations nationwide. Legal historian Christopher Schmidt, co-director of Chicago-Kent’s Institute on the Supreme Court of the United States, tells the story of the lunch counter protests of 1960 and the national debate they sparked over the meaning of the constitutional right of all Americans to equal protection of the laws in his new book, The Sit-Ins: Protest and Legal Change in the Civil Rights Era, published in March 2018 by the University of Chicago Press. Schmidt describes how the sit-ins presented a series of underappreciated legal dilemmas—about the meaning of the Constitution, the capacity of legal institutions to remedy different forms of injustice, and the relationship between legal reform and social change. His book invites a broader understanding of how Americans contest and construct the meaning of their Constitution. 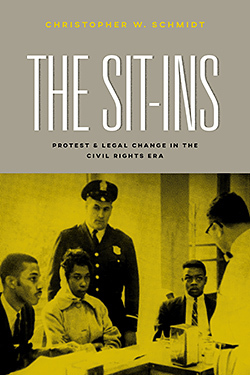 Michael Klarman of Harvard Law School describes The Sit-Ins as “thoroughly researched and convincingly argued” and “a model of the ‘new’ legal history.” Schmidt has written “the definitive legal treatment of the sit-in movement,” writes Dean Risa Goluboff of the University of Virginia Law School. 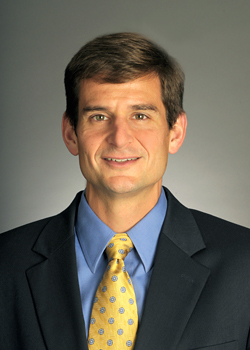 A member of the Chicago-Kent College of Law faculty since 2008, Schmidt teaches constitutional law, legal history, comparative constitutional law, and sports law. He is also a faculty fellow at the American Bar Foundation, where he serves as the editor of the peer-reviewed journal Law & Social Inquiry. He earned a J.D. from Harvard Law School, a Ph.D. in American studies from Harvard University, and a B.A. from Dartmouth College. Schmidt’s article “Divided by Law: The Sit-Ins and the Role of the Courts in the Civil Rights Movement” won the 2014 Association of American Law Schools’ Scholarly Papers Competition and the 2016 American Society for Legal History Surrency Prize.